Presently, it is not known when Terrill began his service on Chalmers’ staff. 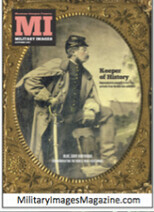 The following excerpts from Confederate Military History, vol. IX, p. 244 excerpts some of the service of Gen Chalmers, therefore, Terrill would have likely seen some of this action, depending when he joined the staff. Brigadier-General James Ronald Chalmers was born in Halifax county, Virginia, January 11, 1831. He entered the Confederate army as colonel of the Ninth Mississippi regiment of infantry in 1861. On February 13, 1862, he became a brigadier-general in the Confederate army, and on April 6th was assigned to the command of the Second brigade of Withers’ division, army of the Mississippi. He and his command did splendid fighting in the battle of Shiloh. When Bragg advanced into Kentucky in the summer of 1862 Chalmers’ command was a part of his force, performing its duties with courage and zeal. In the battle of Murfreesboro he and his men again rendered brilliant service. In April, 1863, General Chalmers was placed in command of the military district of Mississippi and East Louisiana. 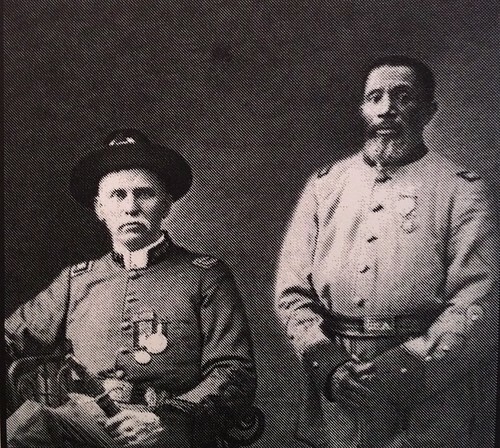 In 1864 he was assigned to the command of the cavalry brigades of Jeffrey Forrest and McCulloch, forming the First division of Forrest’s cavalry. General Chalmers bore a conspicuous part in the battle of Fort Pillow and in all the brilliant campaigns of Forrest in north Mississippi, west Tennessee and Kentucky, as well as in the Tennessee campaign of Hood. February 18, 1865, he was put in command of all the Mississippi cavalry in the Confederate service in Mississippi and west Tennessee. This entry was posted in African-Americans, Confederates, General, Nathan Bedford Forrest, Slavery, Stone's River, Williamson County (TN). Bookmark the permalink. 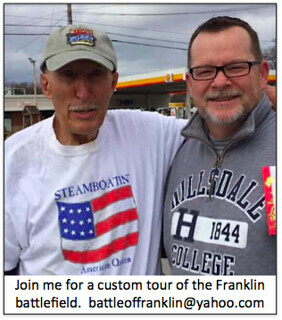 Thank you for your service Mr. Terrill and God Bless you Sir!